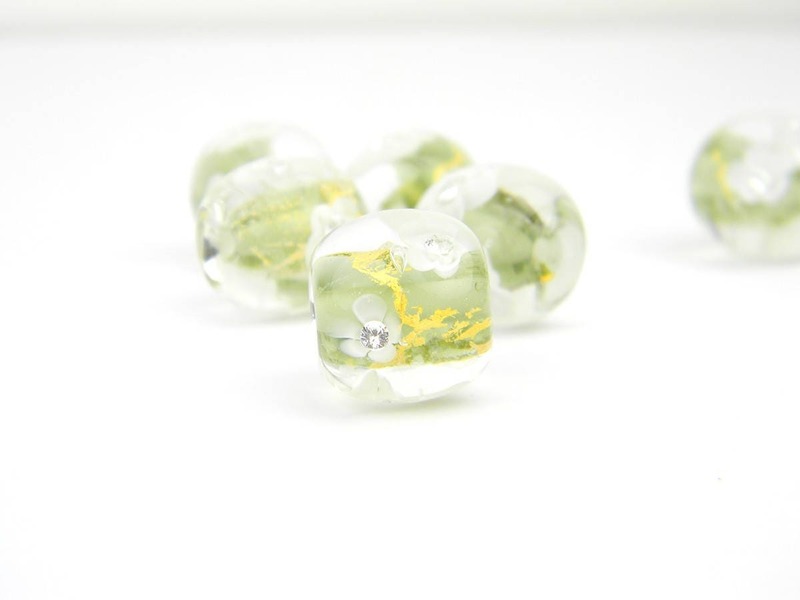 These beads are part of the Eelgrass Collection, created in 2018. 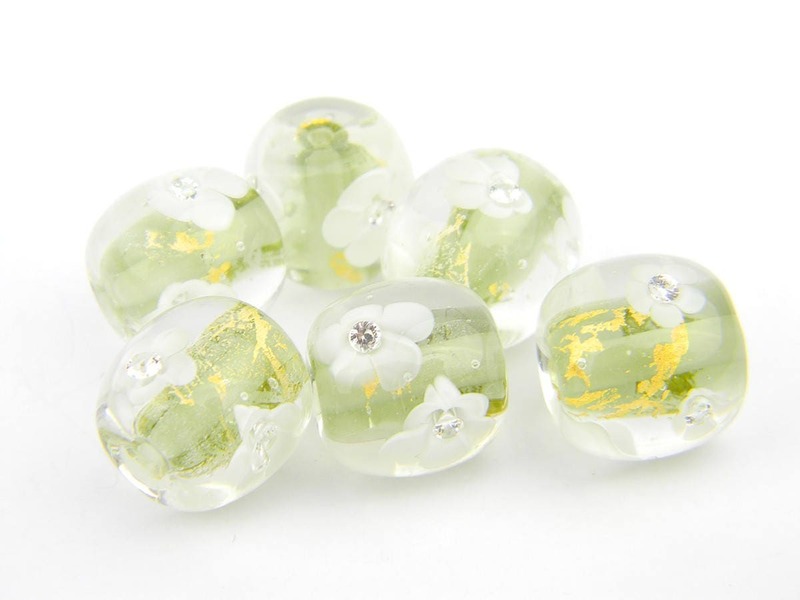 23k gold leaf and soft light olive green glass were chosen for the center of these beads, over which you will find white flowers with sparkly cubic zirconia centers delicately floating. 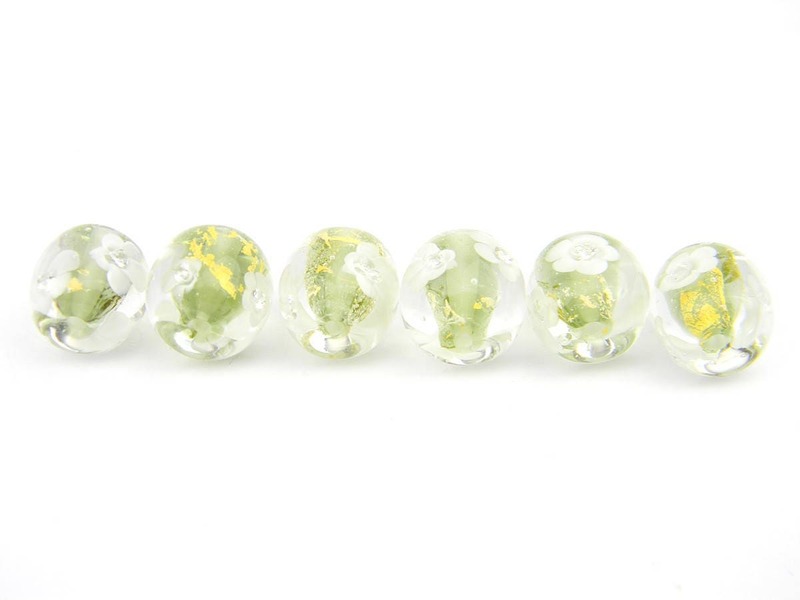 These beads have all been encased in magnifying clear glass to enhance all the beautiful details! 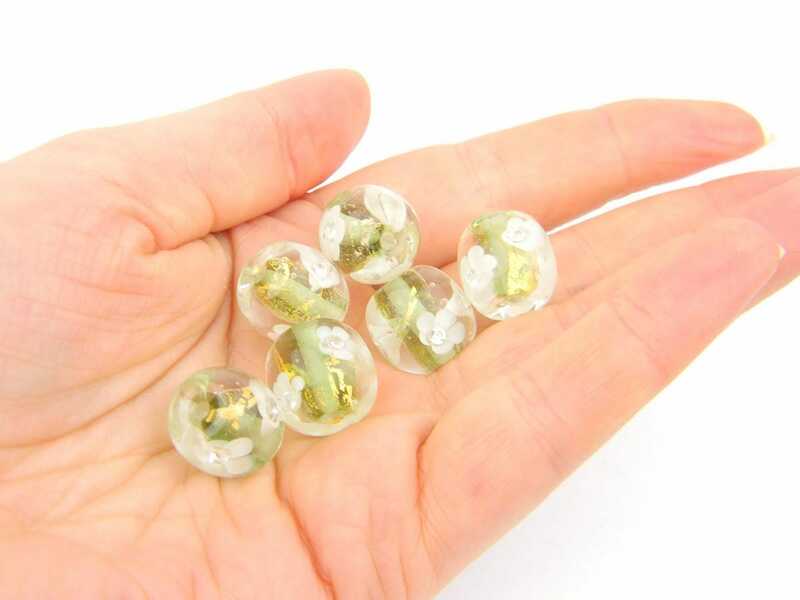 Whether you choose one bead for a discrete but eye catching pendant, or multiple beads for a one of a kind elegant necklace, the final piece of jewellery will attract many lovely comments! 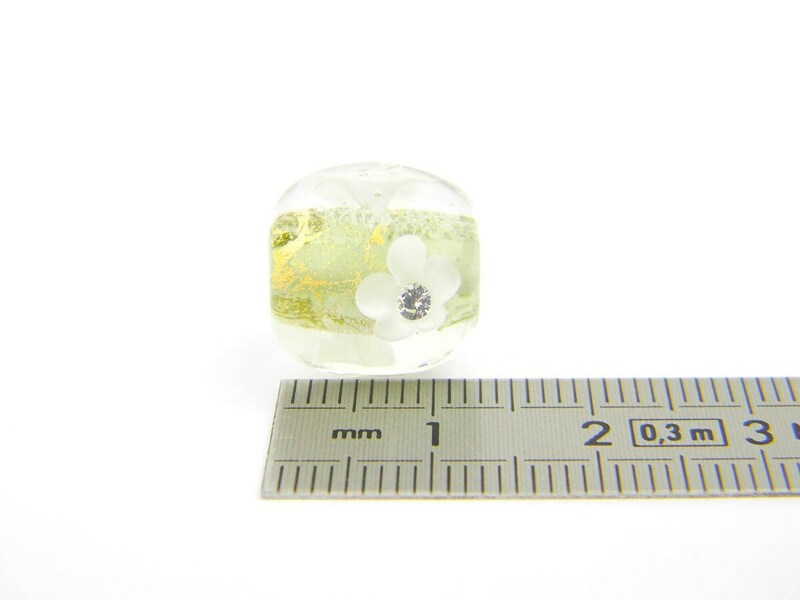 Size: 15mm hole to hole, 14mm wide. 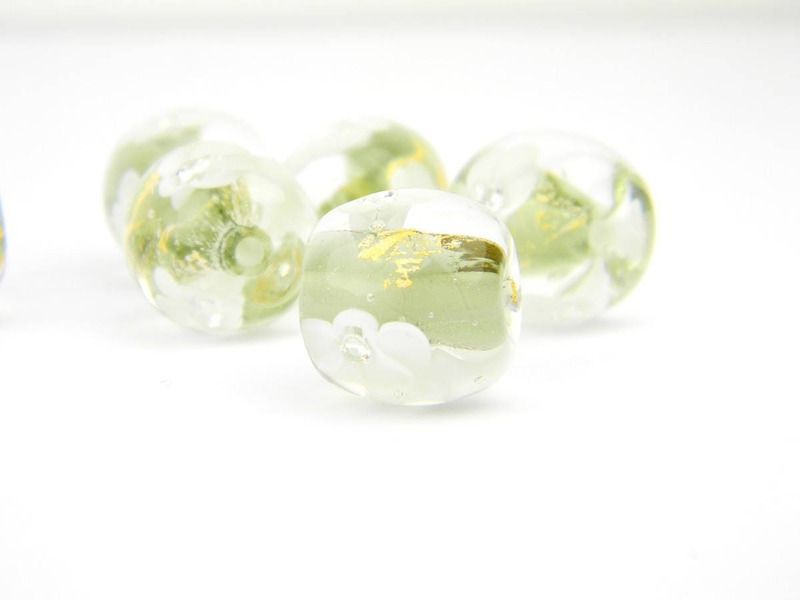 Beads are chunky olive shaped. 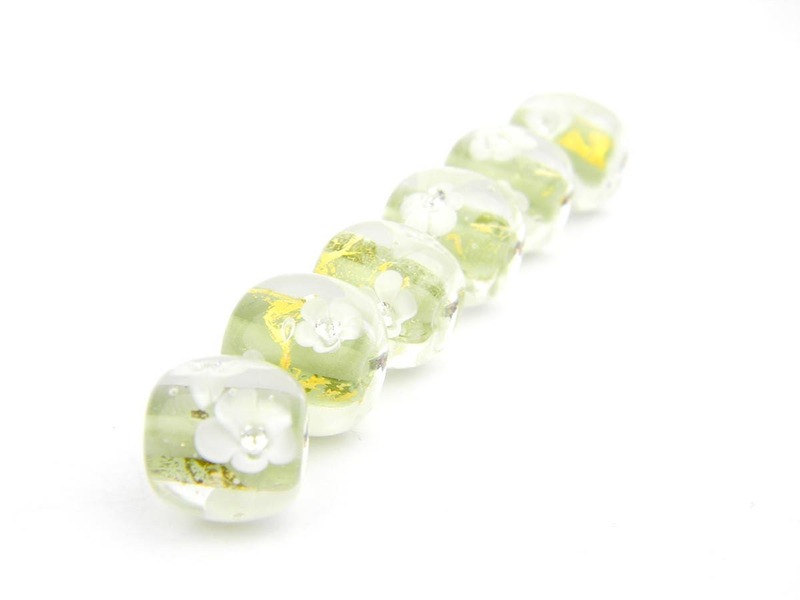 The beads are entirely handmade by me, including the three dimensional glass flowers and elements inside each bead. 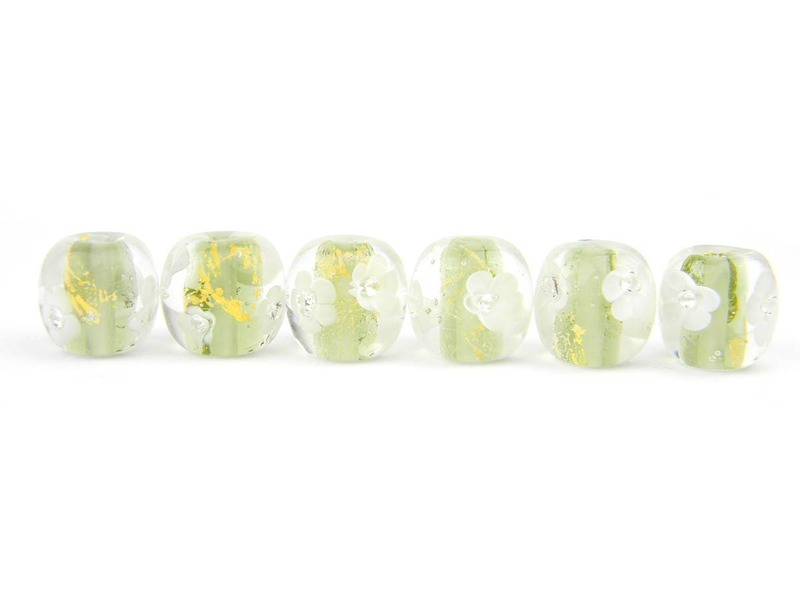 All my beads are annealed and cleaned properly and made by me on 1/16 mandrels with Effetre/Moretti, Vetrofond, CiM and/or Lauscha glass. I am part of the British association GBUK, the French association "Les Perliers d'Art de France" and am Self Representing Artist #G38.